Here at Autofit Garage Services, we are specialists and provide service and repairs to all automotive air conditioning systems using R134a. We can offer very competitive prices on all automotive air conditioning. We offer a re-gassing service starting from £40 + VAT. At an extra cost, we can inject an ultra violet dye into the system which will show up in the event of any future leaks. Does your Air Conditioning Gas have a very slight leak??? We can fill your A/C system with a STOP LEAK which is a NEW, oil-based additive which does not cause damage to the system compressor or other vulnerable working parts. Does your Air Conditioning make you feel ill? Is it leaving you with an uncomfortable smell in your car? 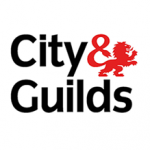 All of our technicians at Autofit Garage Services have theLlevel 3 City and Guilds qualification to be able to work on your A/C system. Click here to contact us to book an appointment.